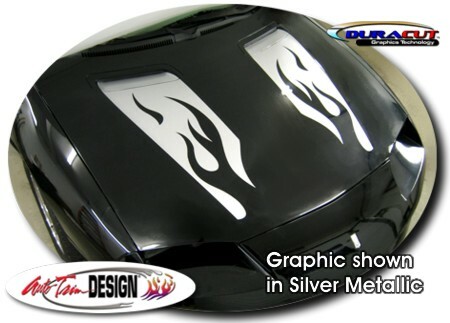 Enhance your '93-'97 Chevrolet Camaro's hood with this awesome looking two (2) piece Flamed Hood Graphics kit. These graphics are uniquely designed with reverse flames as shown and fit perfectly into the factory hood vents and along the hood's clean lines. They're precut and ready to install in a wide variety of colors! These graphics are very easy to install and include general online application and care instructions.